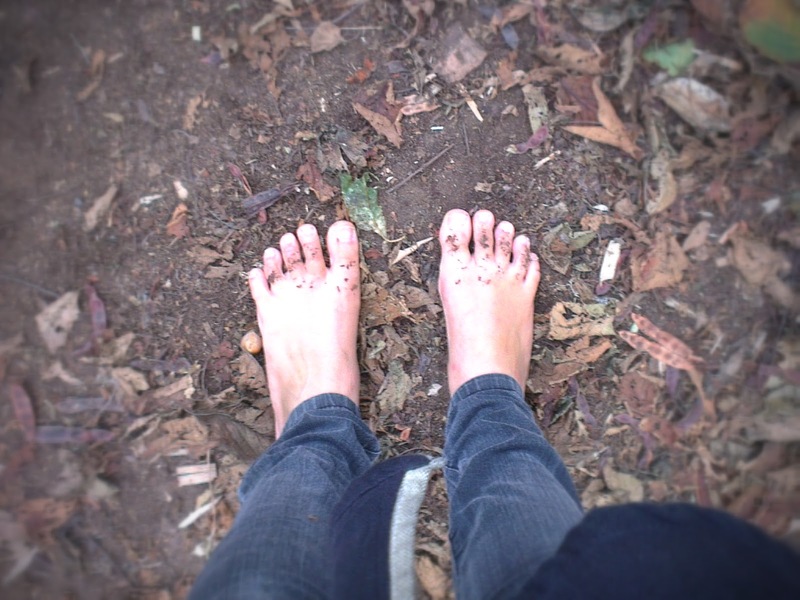 This is a picture of my feet: Not of the children, not of some great epiphany, just my feet standing on a woodland floor. On Sunday we went up the coast to a Wild Child Day. There were a lot of activities aimed at helping the children explore nature but importantly there were also some activities for the adults as well. As another mama commented: You spend so much time giving children your enriching experiences, something you forget to have them yourselves. So here I am, barefoot, learning to use my senses better by playing blindfold games, building fires and cooking damper on sticks, baby asleep on my front, children running round collecting hazelnuts. How do you take time for yourself as a parent? I'd love to hear your ideas. That's very kind of someone who has won such a prestigious award!! Thank you!! And thank you for sharing your own post. I think as women we learn from such a young age that other things (house, family,etc) are more important than taking time for ourselves. It was a real moment for me to realise that I had been running low for quite some time and how great an impact it could have to gift myself some time and attention. I fully intend to Elizabeth. Even if it is a cup of uninterrupted coffee while standing in the garden looking out to sea, I'm making it a pledge to myself. I couldn't agree more! I really think it is something that we can ingrain in our children, we can watch it keep giving to them as they grow. In the UK there is an amazing site by the Woodland Trust http://www.naturedetectives.org.uk/ to help guide that passion even if, like me, you didn't necessarily have that connection fostered as a child.